Monday - Sunday by appointment only. 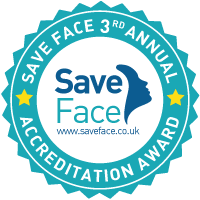 We welcome you to the world of advanced facial aesthetic treatments. Collagen Aesthetics is a medical aesthetics clinic specialising in advanced non surgical aesthetic treatments based in Leigh on sea, Essex. 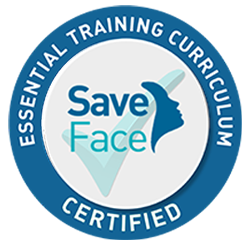 If you are considering anti-wrinkle or dermal filler treatments the most important considerations should be your safety, the expertise of your practitioner and the products being used. Our most important consideration is you, your safety, your results and our relationship with you. Choosing a highly qualified practitioner is key to receiving a safe treatment and achieving the best possible results. Collagen Aesthetics is proud that we are owned and managed by Julieann Pollitt a registered nurse for over 20 years and an Independent Nurse prescriber with over 17 years experience in the aesthetic practice. Having trained and qualified in Kings College London and UCL, specialising in anaesthetics and clinical risk management. Julieann worked at the London independent and London Bridge Hospital alongside renowned Plastic Surgeons. Julieann has been a member of the Allergan Medical Institute for 8 years and attends all their Aesthetics Masterclass’s for Advanced Practitioners and is also a member of Galderma Aesthetics Academy Masterclasses. A professional & friendly practice with a lot of experience. Knowledge and expertise was precise and reassuring. Julianne worked her magic on my tired, stressed face. I certainly came out more rejuvenated to that of when I went in! Julie Anne really knows her stuff – a true qualified professional. The clinic is also very welcoming, relaxed and clean. I have tried other clinicsin the passed but CA is the best. I won’t be going anywhere else. Wow. Simply the best for men! I have tried several clinics over the last 15 years and have been under Julieanns care for the last 3. Julieann is the ultimate professional her skill in being able to asses your needs to improve confidence and looks is beyond what I have ever experienced before. Julieann is very caring and puts you at ease immediately and this quality continues with her staff. Julieann is so great, a really lovely professional lady who always makes me feel at ease even though I am nervous of needles, she really has a gentle touch, I’ve been coming to her for about 2 years now, all her staff make you feel so welcome too, would highly recommend Julieann to anyone that wants to feel better about themselves.